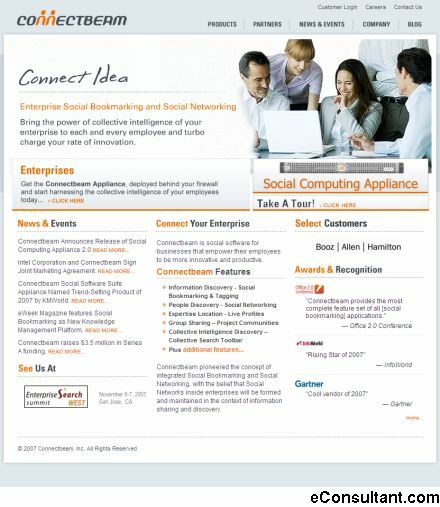 Description : Connectbeam Incorporated makes enterprise social software for bookmarking and tagging. Connectbeam software gives users simple, new ways to create and share knowledge. It helps people find colleagues with similar interests and the knowledge they need. It enables your organization to build a living, always up-to-date intranet.